3 Replacements For Sensational Defensive Ace At Fulham Including This Out Of Favour Chelsea Ace! 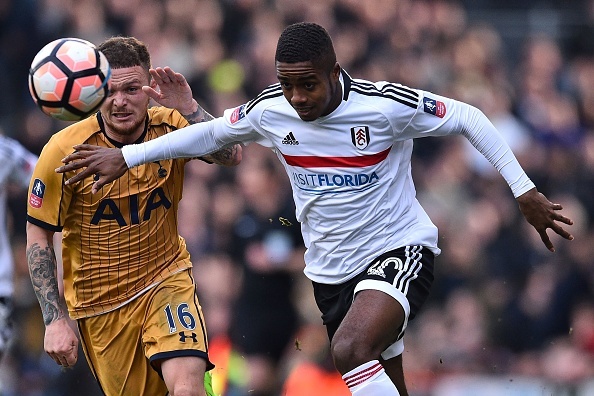 Fulham might finally have to let up on their fight to keep Ryan Sessegnon as Manchester United readies up a massive £50m bid. The teenager has been wooed by a number of Premier League outfits but the Red Devils now have the upper hand with their war chest of a transfer budget. Plenty of sides from all over Europe have boarded the hype train but demand for the player started rising significantly since he got named the 2017/18 EFL Championship Player Of The Season and the Young Player Of The Season. The Whites might have earned themselves a place in the English top-flight but will find it hard to hold on to their wonderkid for too long. The 18-year-old prodigy played a key role in their fight for promotion last term, contributing with 16 goals and 8 assists. He is versatile on the left flank and already has the composure and maturity of seasoned professional. Not sure how Fulham will go around trying to replace the 30-cap England youth international but they will have to try if they plan on staying in the Premier League beyond just one season. It is not a question of if, it certainly is a question of when Sessegnon will make his way out of Craven Cottage. If he leaves as soon as this very summer, here are a few candidates the Lillywhites should look into as a possible replacement. A flop at Chelsea and at Celtic but not by any means short of talent. The Belgian has faced an unfortunate season. First on the benches at Stamford Bridge then a stressful period with the Scottish outfit. The Blues are ready to recall him from Glasgow and send him out somewhere else. They might not mind selling him, given the right price. Musonda is still only 21 and has bags of skill under his boots. He is willing to prove his worth and has a solid shot at doing so with the Cottagers. The 5 feet 8-inch man can take on the left wing and deliver if given the freedom to express himself. Another teenage sensation to hail from the Bundesliga ranks of Hamburger SV who fits the similar role as Sessegnon. He can play on either side of the pitch and has the technical abilities to be impactful in the attack. Read More: Fulham Target 28 Y/O Bristol City Defender To Prepare For Life In Premier League: Right Man For Them? Like Sessegnon, he too can appear from the left-back position but is much better suited to the offensive end of the pitch. The 19-year-old played in 22 games for Rennes the last term and delivered 3 assists. Manchester United Linked With Move For 21 Y/O Ligue 1 Midfielder: What Can He Add To Mourinho’s Side? 21 Y/O Chelsea Dazzler Arrives At Celtic For Medical: Can He Flourish Under Rodgers? 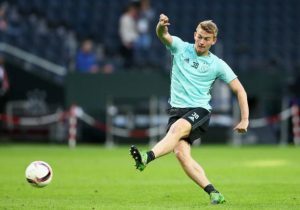 Celtic Show Interest In This Chelsea Prodigy: Perfect Fit For Rodgers? Chelsea Unhappy With The Way On Loan Ace Handled At Celtic By Rodgers: Should They Call Him Back? Chelsea Starlet Ready To Move On Loan In January: Should Celtic Be All Over Him? 3 Players Newcastle United Can Bring In On Loan This Summer Including This Chelsea Star!